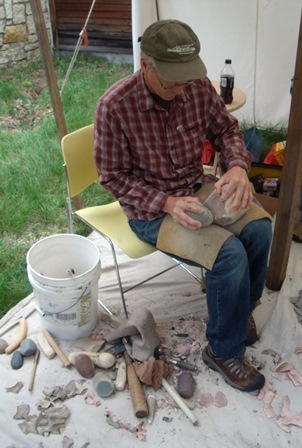 Later this week (Friday, June 27 and Saturday, June 28, 2014) the Northwest Company Fur Post near Pine City will once again host a gathering of flint knappers who will be demonstrating how stone tools like arrowheads are made. 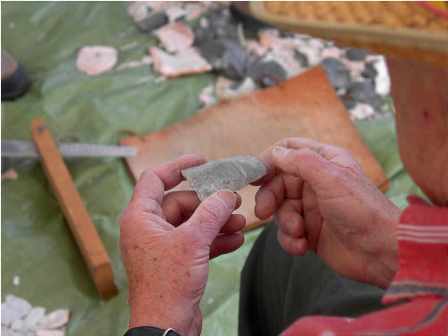 If you are interested in learning how arrowheads were made this is a great place to come and ask questions and maybe even give it a try. Most of these knappers have been doing this for years and are eager to share what they know. Follow this link for more information.